Hello Inspy Friends! How is the new year treating you? I hope it’s been a great start for each and every one of you. For me, it’s been a very busy one! (which I’m loving) For one, I’ve started my new year out with a new Bible. It’s called, Mornings with Jesus Daily Bible. It’s arranged the Bible into 365 portions to help you read through the entire Bible in one year. It’s filled with encouraging words from women who shares their personal reflections, prayers, and faith steps that will help you experience a deeper relationship with Jesus. My husband and I have began a new ministry, too. Our very first service in our new church was November 20, 2016. It has taken us a few weeks to get the ministry established. But now, we have hit the ground running :-) We are all so excited to see what God has in store for our ministry in 2017! I’ve also been busy working on my next novella. I can’t share too much right now, but I can say, there’s a runaway bride, a handsome stranger, and the beach :-) Hopefully, it will be released very soon. 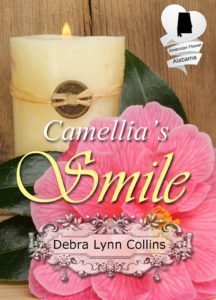 Here’s the new cover for Camellia’s Smile. I absolutely love it. Tell me, what do you think? Doesn’t it look more romantic? When Camellia Stewart’s grandfather has a heart attack, she returns to Midvale, Alabama to help her grandparents on their farm until her grandfather is back on his feet. The morning after her return, she confronts Brody Tarvin, her grandparent’s new neighbor, with a shotgun. Even though the neighbor’s granddaughter threatened to shoot him, Brody can’t stop thinking about her. 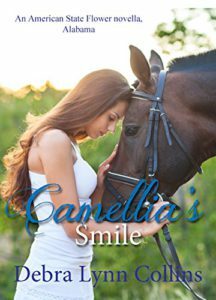 After hearing about her grandfather’s heart attack, he decides to lend Camellia a hand on her grandparent’s farm. He finds himself falling for the woman with the beautiful smile until he discovers she has a boyfriend back home in Birmingham. Can Brody win her heart and convince her to stay in Midvale, or will she go back to the big city and leave him behind? The other amazing authors included in this set are …. The boxed set and each individual story are all available on Amazon. Blessings in your new ministry:) The cover looks lovely, it does look more romantic. Today was Australia Day, so we enjoyed a BBQ with some friends, always good fun, especially with the beautiful weather we had. Thank you so much, Wemble! Sounds like you had a blast on Australia Day! Our weather here has been pretty crazy. We’ve been having unseasonable warm weather, and now they are saying we may have snow flurries Sunday morning. :-) We never know what to expect from one week to next. Happy Australia Day to you!! Thank you, Jill! I really love the new cover :-) And, God has been doing some amazing things through the ministry. My soul is full of joy to see all the people that are giving their hearts and lives to God!! Your post was very inspiring to me today. Our church is currently looking for a new pastor and I pray they are as excited about a new ministry. The box set intrigues me so I will be looking into that too! t is hard to believe that it is already the end of January and Christmas is only 11 months away. January has been busy with birthdays and preparing for the birthday of our granddaughter, Seeley Rose, who is two weeks old now. Even in retirement life is busy, as I help care for our grandchildren and make life a little easier for my hard working sons and their families. Keeps me active and my mind sharp. Presently haven’t had much time for reading, since my three year old granddaughter no longer naps and with our gloomy drizzly Michigan weather has been rather whiny. Best wishes and happy writing. Thank you, Renate! Wow! It sounds like you have been a very busy woman. For myself, I always thought when I got older that life would begin to slow down, but I was wrong. I am busier now than I was 10 years ago. However, I have admit, I’m loving every minute of it, it keeps me young :-) Happy Birthday to Seeley Rose! The cover is beautiful! I like the flower theme on the boxed set. Lord bless your’re new ministry! Thank you, Diana! God has been doing some wonderful things for our ministry. The state flower idea comes from our brilliant publisher, Cynthia Hickey. We are working on two more boxed sets right now. We will eventually have a state flower story for every single state :-) Happy 2017! Lovely cover, Debra! Congrats. And blessings on your new church plant. Thank you, Valerie! We have been super, super busy working to build the ministry, and my body is beginning to feel ‘some’ exhaustion, but it is worth every single ache and pain to see what God is doing :-) We are so blessed!! I prefer the new cover – it is beautiful. Blessings on your new ministry. I like your cover and your story sounds great! Love the cover ❤️ And being from Tuscaloosa, 60 miles from Birmingham, gives an extra appeal to your book for me. Thank you, Gail, and I am an Alabama girl, too! Lovely new cover and interesting story line. Congrats on the new ministry, I pray many blessings on it!